Let me tell you that getting result like 10 million naira in a month is not typical. It is not everyone that experiences such on regular basis. But that doesn’t say it does not exist. I am sharing this with you because a friend of mine just made this amount of money last month and it is not a cooked story because I will be sharing with you screenshots as proof to this. For those of you that have been following me, you would have heard his name before. You probably know him as cryptocurrency guy. Yes, that is one aspect of his business acumen that I have shared with you but he is also big on eCommerce using Facebook as his promotional platform. His name is Sam Nebo. Yeah, the same guy that teaches cryptocurrency trading on our platform. 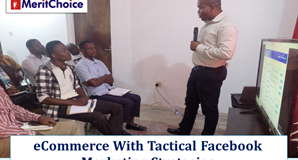 Early this year he was at our office with his newly acquired SUV and while we were chatting before he drove away, I asked him, “what do you think is the best way to make money fast in 2019?” He told me point blank, “it is eCommerce through Facebook”. The above screenshot is his January 2019 advert on Facebook. He spent total of N187,781.40 and with Facebook purchase conversion tracking, he made N4,536,000.00. That is 4.5 million in a month. The second screenshot is his February 2019 advert on Facebook. He surely increased the amount he was spending with Facebook to N494,386.45 and he made N11,472,000.00 that is 11.4 million just last month. Let’s even say Facebook over estimate the amount he is making and 30% of it were not real, if you calculate, you will still see that he is still in big profit. The idea he used is that the conversion rate will not be calculated except the person is really opt-in to buy what he is selling. I have told him that he will also talk about Crytocurrency Investing and Trading that day because a lot of our people have been asking about that too. So, you will be learning two great income opportunities from Sam Nebo this Saturday. My wife, Opeyemi, will also be talking about her exploit on Instagram. She is getting order everyday via Instagram and making cool money too. She will be telling attendees what she is doing and will be willing to assist anyone that is interested to get started too. We shall also talk about the Loan Opportunity that everybody is already tapping into. You know that you need money to do business and that is why that aspect is important. This Saturday, we will make the form available for anyone that is interested in the CBN Loan. We are kicking off immediately. 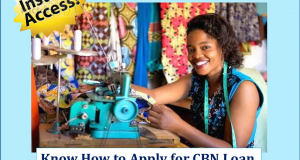 You should be able to get at least N350,000.00 to N500,000.00 from CBN approved loan. 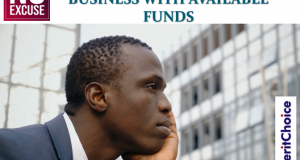 Don’t forget you can even get up to N10million naira depending on the type of business you are doing. You don’t want to miss this training at all. It’s just too loaded for anyone to miss. Other things are also coming on board. It’s going to be a life-transforming Saturday. Therefore, I want you to go and register and participate. It is FREE Seminar. But there will be materials to be sold and registration to be made, you are advised to prepare along.